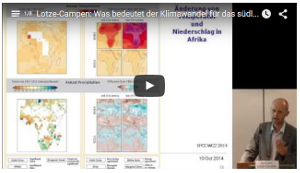 About the Project "African Climate Voices"
The non-governmental organisation Information Centre on Southern African Countries in Bonn, Germany (Informationsstelle Südliches Afrika (issa) e.V. 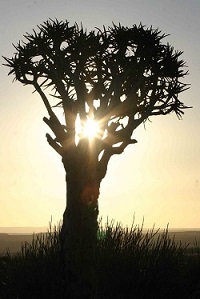 in Bonn, Germany) offers a broad variety of information on climate change in SADC-Countries. This electronic information platform was prepared in the context of the UN-Conferences on Climate Change. COP 22 in Marrakesch (Marocco) took place from 07.-18.11.2016. It was the follow-up conference of COP 21 in Paris. "African Climate Voices" is of interest for climate and environmental activists, development organisations and groups which focus on fair trade issues. Researchers and political decision makers working on African countries will find many useful information, too. You can listen to, read about and watch many different African climate voices! Connect with us via the innovative "Post Your Climate Change Story"-Function! This information platform concentrates on the SADC member states: South Africa, Zimbabwe, Zambia, Malawi, Namibia, Mozambique, Swaziland, Lesotho, Angola, DR Congo, Tanzania, Madagascar and Seychelles. These countries are already confronted with the effects of climate change. On the one hand people have to cope with very heavy rains and floods. On the other hand their livelihoods are limited by intensified droughts. These influence their agricultural and other economic activities negatively. In addition, access to clean water is limited in rural and urban areas.